Fulton and Dink Mather on their deck with guests. 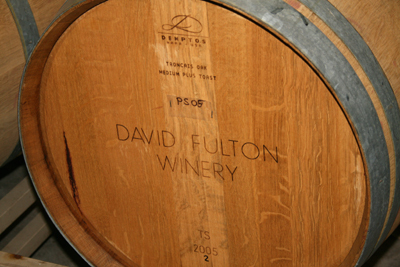 For Fulton and Dink Mather, October 1, 2004, marks the date for release of their 2001 Petite Sirah. It was the third such release since the start of reconstruction of their historic winery, but the first release of an estate bottling in 125 years.The Mathers wait a full three years before releasing their Petites. Full bodied, and with tannins managed from the vineyards, upon release the David Fulton Petites still deliver a powerfully delicious, while elegantly handcrafted wine. On Friday, July 10, while visiting with PS I Love You members Fulton and Dink Mather, I learned about their annual harvest barbecue. 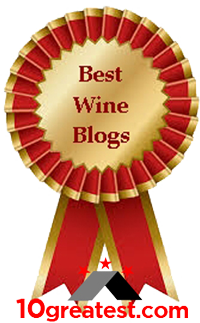 It involves friends and extended family members who support them each year in the harvesting and processing of their Petite Sirah grapes. The Mathers have developed a unique event, and I definitely want to be part of that process. 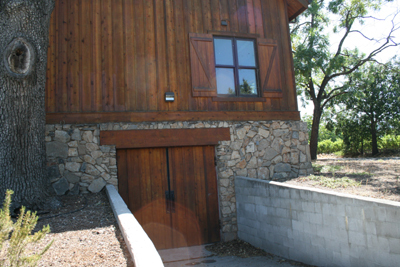 It’s very similar to the old barn raising days, when everyone in town came out to help one family create a home, except in this instance it’s to create another vintage of wine. 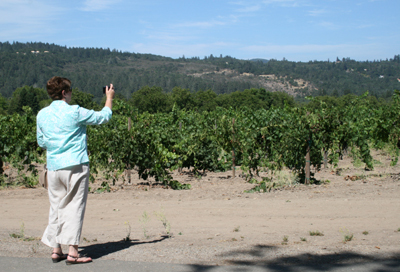 Kathy Conley of NC, taking a vineyard shot. 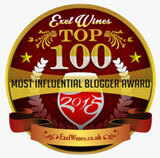 When it’s time for harvest, Dink puts out the word to a core group of people who have evolved over the years. About 30 family members and friends come from near and far to help Fulton and Dink bring in and sort through that season’s grapes… on one single day, each season. For me, this is just a remarkable story. There are no hired hands, just the loving hands of people who want to be part of this special Petite being harvested, crushed, and pressed, all on a fall day in St. Helena. 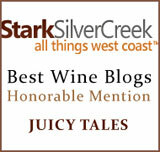 This is an extraordinary experience, unlike any others I’ve heard of in wine country. I’m already planning to take lots of pictures, and will be sure to share on wine-blog with everyone picking and sorting grape clusters. 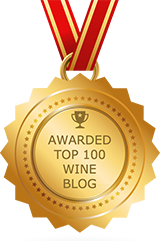 In my 17 years of living and working in wine country – I’m finally going to be part of a process for which I’ve yearned, but haven’t slowed down long enough to enjoy. 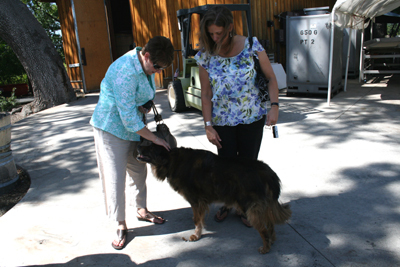 Kathy Conley & daughter Kia visiting winery dog Tucker. 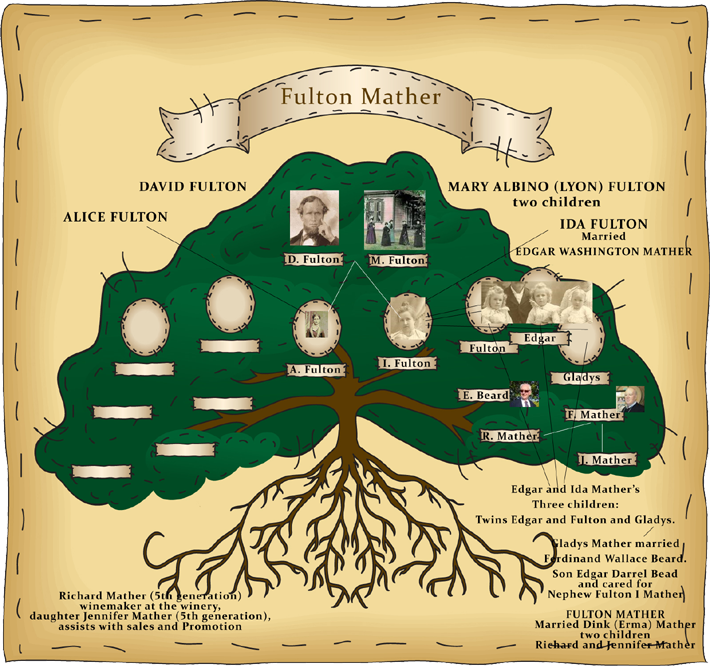 In order to understand how Fulton Mather is operating today’s David Fulton Winery, I created this family tree, so you, too, can better visualize the intricacies of this family rich with history, with a business that’s been handed down from one generation to the next. Today, Ed Beard Jr., (5th generation) oversees the general care of the Fulton Vineyard, and he, together with his wife Anna, own and operate Beard Ranches. The vineyard and winery is owned and managed today by the husband and wife team of Fulton (4th generation) and Dink (Erma) Mather. A great grandson of David Fulton, Mr. Mather recently retired as a managing software engineer. Dink is a retired toxic substances scientist. Assisting Dink and Fulton are their son Richard Mather (5th generation), winemaker at the winery, and their daughter Jennifer Mather (5th generation), who assists with sales and promotion. my grandfathers name is elmer fulton. i would like to know what my family coat of arms is. please? I Google searched “Fulton coat of arms,” and this came right up.